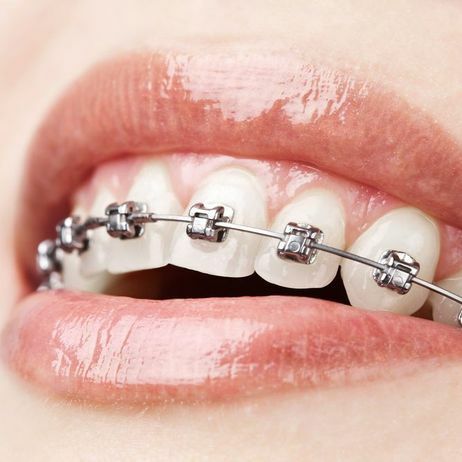 Metal braces are the most common type of braces, and they can correct the widest range of orthodontic problems. 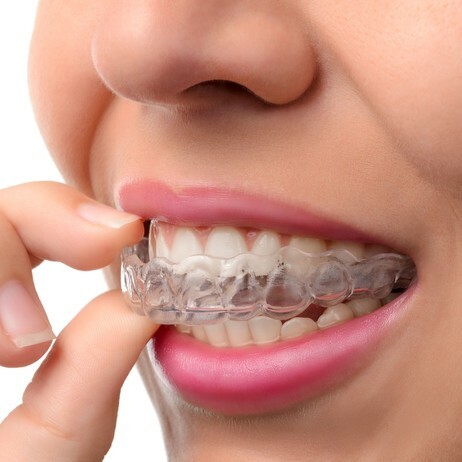 While Clear Braces can be the treatment of choice for simple misalignment, metal braces can correct crooked and crowded teeth as well as a misaligned bite and problems with patients’ jaws. Metal braces consist of a series of brackets that are bonded to the front of the patient’s teeth, then threaded with a metal wire. Elastic bands provide tension. These braces rely on a constant, gentle pressure to shift the patient’s teeth into alignment. 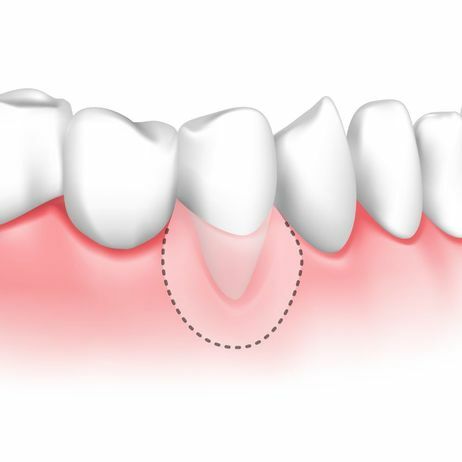 When a tooth is allowed to decay beyond the point of just a cavity, or incurs a deep fracture, infection eventually reaches the soft, inner pulp. When the pulp gets infected, the tooth cannot be saved, and it dies. 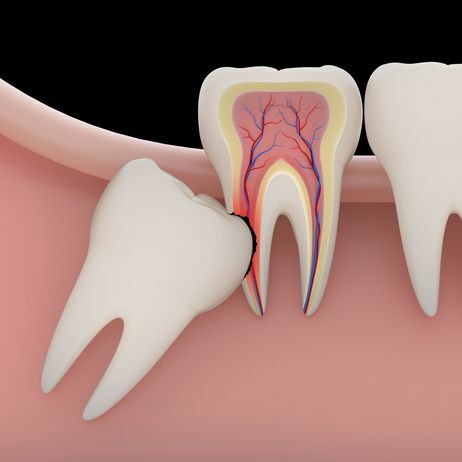 Root canal therapy involves removing infection from inside a tooth so that the tooth will not need to be extracted. Dr. Karagodsky cleans out the tooth and replaces the pulp with a rubber-like substance. 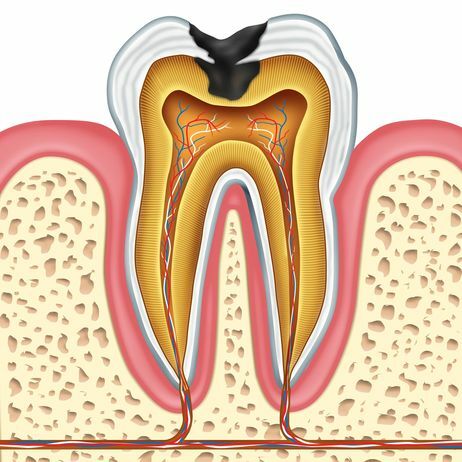 Then he seals the tooth, using either a filling or a dental crown, which preserves the structure of the tooth. Today’s root canals are a comfortable procedure, and Dr. Karagodsky uses DentalVibe for painless injections. More than half of U.S. adults have periodontal disease, which is an infection of the gums around the teeth. It starts out as gingivitis, with symptoms like tender, bleeding, or reddened gums. As it progresses, the gums begin to recede and the bone and tissues around the teeth start to break down. It is very important to catch periodontal disease in its early stages, because of the risk of tooth loss, jaw bone degeneration, and heightened risk for other health conditions. We provide a range of treatments, from basic periodontal care to gum grafting, to heal your gums and regenerate healthy gum tissue. Obstructive sleep apnea stems from the periodic blocking of a patient’s airway during sleep when the muscles at the back of the throat relax. The most common symptoms are heavy snoring and poor quality sleep. Left untreated, sleep apnea can lead to very serious health problems. Dr. Karagodsky provides oral appliances that help patients with mild to moderate sleep apnea breathe correctly as they sleep. 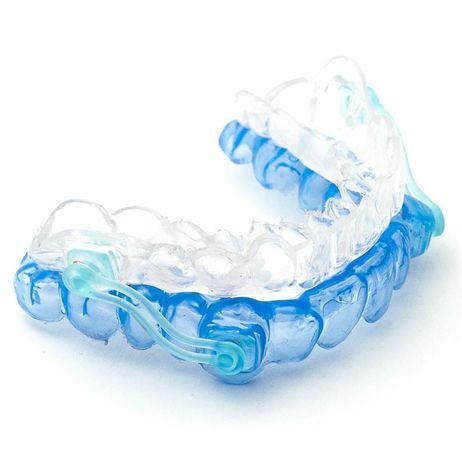 Resembling a mouth sports guard, the appliance works by advancing the lower jaw slightly forward and keeping the airway open. Sleep apnea devices can improve your sleep and health, and they may be covered by insurance. Dr. Karagodsky offers a variety of preventive dentistry treatments to help our patients maintain attractive, healthy smiles. All patients should visit us for a regular cleaning and exam every six months to check for cavities and other oral problems you may encounter. Keeping your appointments and receiving early treatment can help you avoid costly procedures further down the road. Exams also include a visual oral cancer screening. The doctor provides dental sealants for children as well as fluoride treatments for extra protection against decay. We also have medicated toothpaste available for purchase. Dr. Karagodsky performs all types of tooth extractions, from simple extractions to surgical extractions and third molar (wisdom teeth) removal. He handles all extractions in our office and is equipped to perform extractions on teeth that have become partially or fully impacted, as well as those that require the removal of overlying bone tissue. Dr. Karagodsky provides local anesthesia and works with an anesthetist when general anesthesia is necessary. Dr. Karagodsky has mastership credentials from the International Congress of Oral Implantologists (ICOI) and is an expert at providing all stages of dental implant treatment. 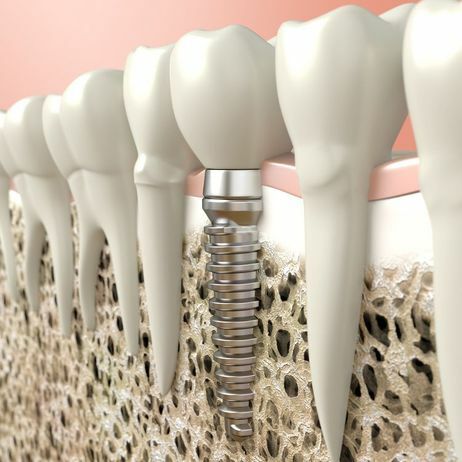 Dental implants have revolutionized restorative dentistry, allowing patients to regain full dental function after they have lost any number of teeth. The titanium posts replace lost tooth roots and create a sturdy anchor for dental crowns, bridges, and dentures. First, the doctor surgically implants tiny titanium posts into the patient’s jaw. 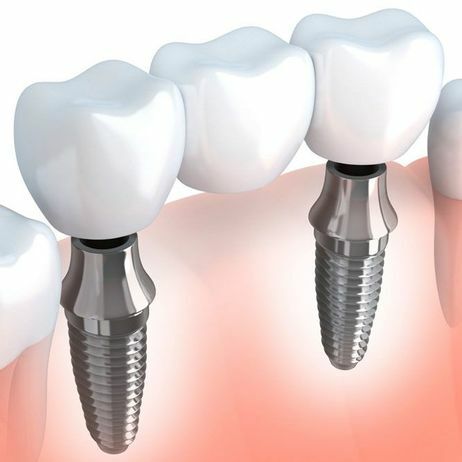 After three to six months, the implants will fuse with the bone and he can attach your permanent dental restoration. There are a growing number of patients who are concerned about having metal in their mouths in which titanium implants consist of. Research has shown that titanium implants contain a small amount of nickel, an element that 5% to 10% of the general population is allergic to. CeraRoot Zirconia Implants are bioinert, which means that they do not produce an immune response when being introduced to tissue. This also implies that the implants will not disrupt the energy movement through the body’s biological systems, making this a great alternative to patients who follow holistic beliefs. Dental bridges can replace missing teeth when only one or a few teeth are lost in a row. Dr. Karagodsky offers both traditional and implant-supported bridges. Traditional bridges are a row of fused pontics (false teeth) attached to adjacent crowns. 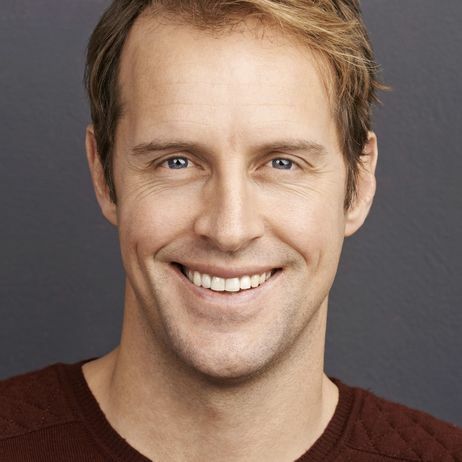 The crowns are placed over healthy teeth on either side of the gap where teeth are missing, effectively “bridging” the gap and completing your smile. 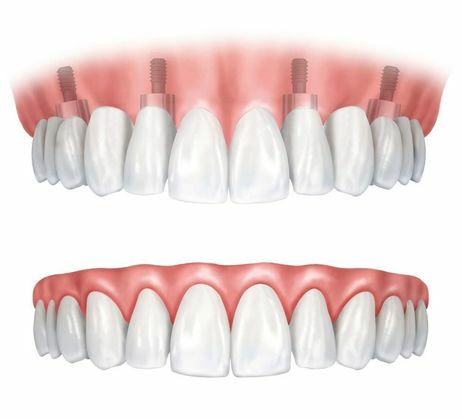 Implant-supported bridges do not require crowning healthy teeth. Dr. Karagodsky can help you determine which type of bridge would be the best fit for your smile. Dr. Karagodsky often uses a dental crown to repair a badly decayed or fractured tooth. 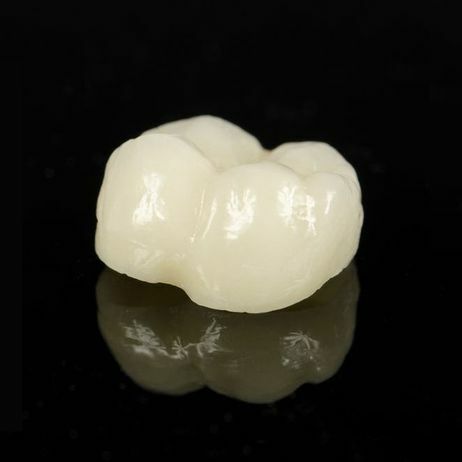 Crowns fit over a prepared tooth like a cap, protecting it from infection and providing reinforced structure. A very skilled and experienced restorative dentist, Dr. Karagodsky places all types of crowns. He may use crowns made from porcelain, zirconium, BruxZir®, emax®, or porcelain fused to metal (PFM), depending on what is best for the patient. 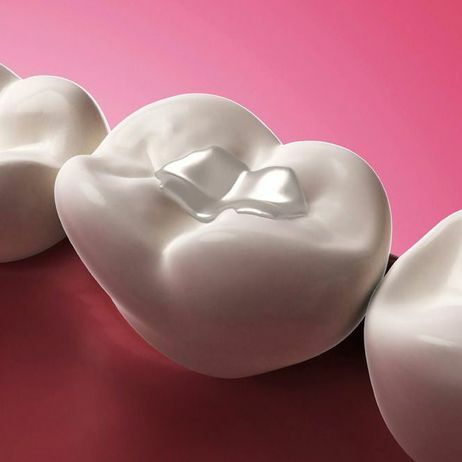 In addition to restoring teeth very effectively, our high-quality dental crowns look beautifully natural and will blend naturally to your smile. Dr. Karagodsky places all types of dentures to restore oral function and facial appearance. Traditional dentures rely on natural suction and mild adhesives to hold them in place. Dentures can also be attached to dental implants, which provide tremendous stabilization. Valplast® is a flexible, removable partial denture that eliminates the need for the metal clasps of traditional partials. Bar overdentures consist of a lab-created metal bar that attaches to dental implants. The denture snaps into place over the bar, which spreads the pressure of chewing over all the implants. The doctor will help you decide which type of denture is right for you. Inlays and onlays work very well to restore teeth with too much damage for a filling, but not enough to justify a crown. Typically used to repair the chewing surfaces of teeth, inlays and onlays are fabricated in a dental laboratory instead of being placed directly in the tooth, as a filling would be. They can be made from a variety of materials, including gold, porcelain, and composites. Unlike crowns, they cover only a smallportion of a damaged tooth. 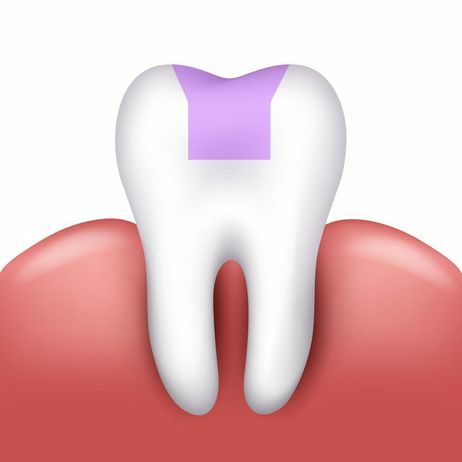 An inlay is contained within the cusps (top edges) of the tooth’s surface, while an onlay extends further. A cavity forms when oral bacteria consume sugars and carbohydrates, then emit acids as a byproduct. These acids weaken tooth enamel, allowing the bacteria to attack. They eat away at the enamel and dentin layer of the tooth, creating a cavity. To repair the tooth and prevent further damage, Dr. Karagodsky removes the decay and fills the cavity with tooth-colored composite material. Unlike silver amalgam fillings, they will not leave unsightly dark coloring on your teeth. The doctor cures the resin with a plasma light to bond it strongly with the tooth’s structure. 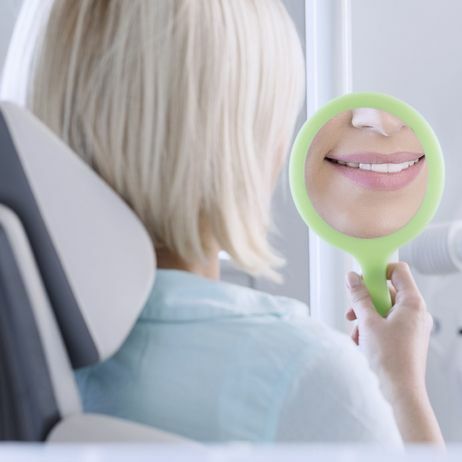 For patients with several dental problems, Dr. Karagodsky can develop a comprehensive plan to fully restore function and aesthetics. 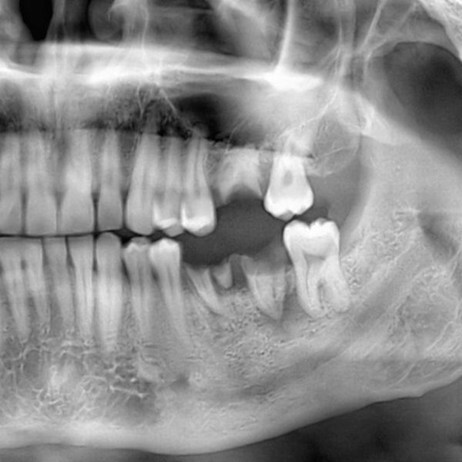 Full mouth reconstruction combines two or more phased treatments to address all issues with the patient’s teeth and bite. Your plan may include implant-supported dentures or bridges, orthodontia, crowns, veneers, or any combination of restorative and cosmetic dentistry treatments. Full mouth reconstruction is highly customized and requires a comprehensive consultation with the doctor. Our various forms of orthodontic treatments can straighten teeth that are misaligned, crooked, or crowded. We offer both traditional treatments such as metal braces and ClearCorrect™to treat patients with minor to more severe cases. By treating misalignment and crowdedness, we can help reduce and prevent the possibility of more serious health issues such as periodontal disease. When tooth loss occurs, the jawbone does not receive the necessary stimulation necessary to maintain its strength and structure. For patients seeking dental implants, it is imperative for the jaw to be strong enough to support the restoration. However, if the jaw has begun to shrink, it may reduce the possibility of a patient's candidacy. Fortunately, we offer bone grafting to restore the strength back to the jaw to support the restoration.